I have recieved an email from Aubrey who lives in Belguim. 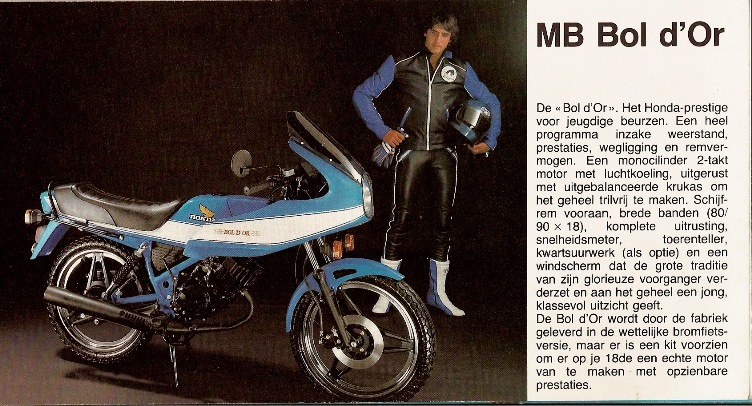 He is trying to trace an unusual MB5, which is a special edition badged as a Bol’dor replica (see picture below). 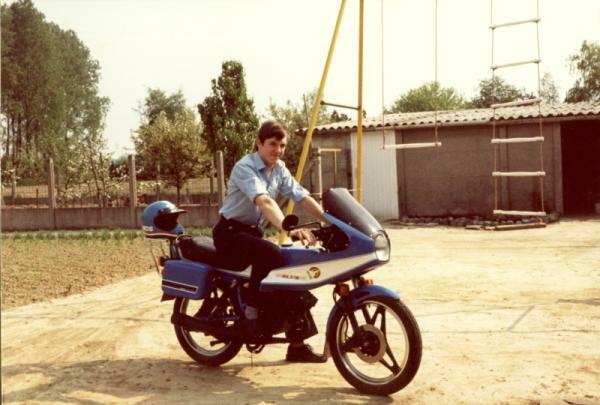 He knows the model existed back in the 80's but despite contacting Honda Belguim (who knew nothing of the model!) has so for drawn a blank. If you can help Aubrey with his search please email me (via the contacts page) and I will pass on any information. Update: The only information we have gained so far is a picture of an owner of one of these bikes.